September 21 is International Day of Peace, also known as World Peace Day. 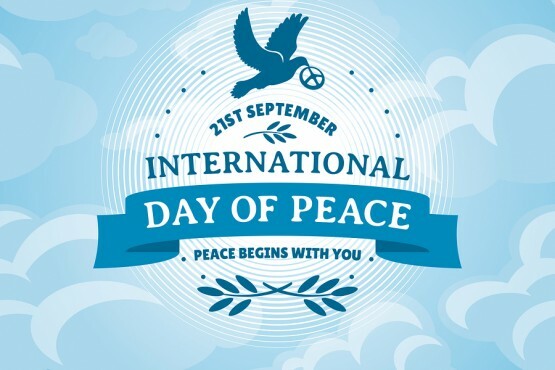 In 1981, the UN General Assembly established the third Tuesday of September as Peace Day, and in 2001, the international organization accepted a resolution to make September 21 a day of non-violence and cease-fire. 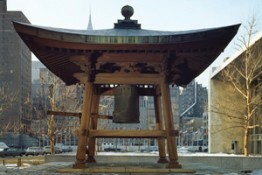 Part of World Peace Day celebrations include the ringing of the Peace Bell at the United Nations Headquarters in New York City. 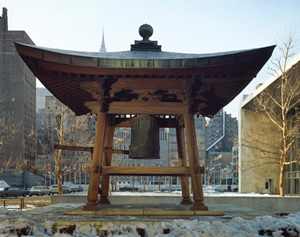 The Peace Bell was donated in 1954 by the United Nations Association of Japan and is made from coins and medals donated by the representatives of Member States, the Pope and children from over 60 different nations. Learn more about the 17 Sustainable Development Goals and tell us in the comments section below how you are celebrating Peace Day this year — and which one of these goals you think is most important for world peace. Vote: Do You Think School Bus Cameras Will Help Keep Students Safer? This is great, although I believe we should always be working on these 17 things. One day per year may help for a week, but we need to help anyone who needs the help. I definitely think this is a great idea for our crazy world to come together and be humble and kind. The little kids on Earth may finally understand peace. I think World Peace Day is really good because everyone can come together and be nice. I think that all of theese are important, so focus on all of them!! Word peace day is great because it gives this cruel world a day for peace and to accept others and spread love. The next generation should know what peace feels like. But for now, ring the bell! That is so cool I believe kids should get a word and peace day should be everyday.